After a troublesome 2018, the cryptocurrency market is expected to mature in 2019. It is the hope of many that 2019 will see cryptocurrencies establish within the financial markets. For any cryptocurrency investor, the focus should be on digital assets that are future centered. At the moment, the crypto market has not yet recovered even though we have some projects ongoing. The industry is witnessing the emergence of many ICOs, scammy projects, volatility, and failure of many cryptocurrency startups. Despite these shortcomings, we’ve put up a list with 10 cryptocurrencies under $10 that might be profitable in 2019. You should note that this article is not investment advice – its just a list of promising cryptocurrencies based on the unbiased opinion of our writers. Please do your own research if you’d like to invest in these cryptocurrencies. 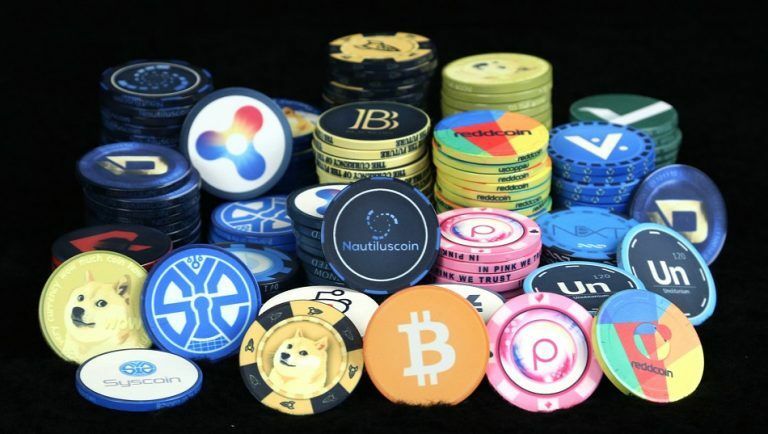 Ripple’s XRP is among the most promising cryptocurrencies of 2019. In terms of market capitalization, XRP is the second after Bitcoin. Ripple has managed to displace Ethereum. For starters, developers of XRP intended to use the platform to conduct cross border transactions between individuals and bank instantly at reduced costs. 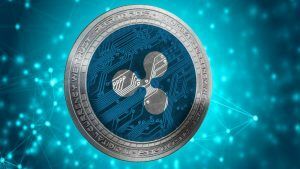 Despite a turbulent 2018, Ripple towered in the crypto market by entering strategic partnerships with leading global financial institutions like banks. This development spurred the mass adoption of the XRP. Ripple has a bright future based on its plan to shun away from ICOs. Without ICOs, Ripple is free from strict regulations by the SEC. At the moment, Ripple has a value of $0.3045 and we believe that until the end of 2019 Ripple may reach $0.5 – $0.6 easily. In 2018, Tron managed to survive the volatile cryptocurrency market. One of the factors that led to Tron’s excellent performance was the foundation’s move to enter different partnerships. Additionally, Tron achieved some development milestones last year. Tron is a decentralized marketplace that allows individuals to host, store, consume and share content based on their terms. The platform has no role for third parties. Developers seek to revolutionize the internet. Acquisition of BitTorrent and launch of Project Atlas are the latest development at Tron. At the moment, Tron is ahead of other cryptocurrencies in terms of processing power and speed. The Tron platform can run more than 2,000 payments within a second – at least they claim so . 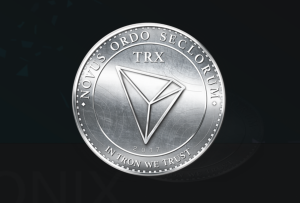 The TRX token has a value of $0.026833 at the time or writing. A decent price for 2019 that we feel confident about is a $0.07- $0.09 if the market conditions are favorable. This Tron price prediction is based mostly on the past evolution, the important news of 2019 and how their ecosystem is growing daily. Among all blockchain projects, Cardano is the only platform that is guided by academic research alongside a scientific philosophy. The system allows development of dApps and deployment of smart contracts. This is an advantage compared to peers. With Cardano, smart contracts are initiated on differences places when payments take place. This feature is not available among other peers. 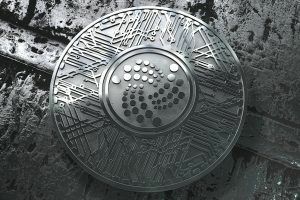 This capability elevates Cardano to the list of best cryptos of 2019. By the time of writing, Cardano’s ADA token was retailing at $0.04124.We believe that 2019 will be a good year for Cardano, especially with their future roadmap. Even though Cardano was at one moment worth $1, we think the price there was a bit overvalued. A more possible price for 2019 for Cardano would be a $0.09 – $0.15. Again, this Cardano price prediction depends on the market evolution. Its popularity is based on the Internet of Things phenomenon. 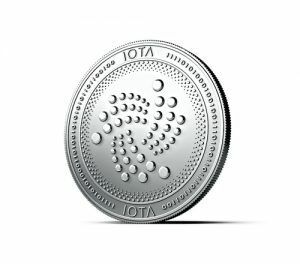 IOTA is also a unique crypto project that uses “The Tangle” instead of the normal blockchain. Developers of IOTA put in place systems that will execute faster payments on the level of machine-to-machine. This model is enough for IOTA to be one of the promising cryptocurrencies in 2019. 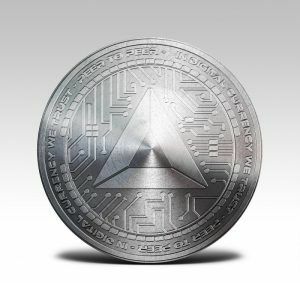 The MIOTA token current value stands at $0.276184. One factor that needs to be taken into consideration when we’re talking about the IOTA’s future is the fact that the tangle is already tested in partnership with Bosch. If the results there could be good, we can expect a IOTA price above $1 for 2019. Also, IOTA still have a big road ahead of it. They need to gain more partners and more usage for the cryptocurrency before regaining their top 10 place. Binance is among the most successful cryptocurrency trading platforms despite joining the market in mid-2017. Apart from providing a trading platform, Binance also released its token dubbed BNB. By the time of writing, data from CoinMarketCap indicates that the token has managed to join the top 10 lists, sitting at the tenth position. BNB has a fixed supply, an indicator that the token demand is set to skyrocket as Binance trading platform grows. The BNB price is $8.63 at the time of writing – and had a significant growth in the past weeks. Binance Coin (BNB) can easily reach a $20 value this year, especially with their launchpad launching more ICOs and accepting only BNB there. BAT came into existence alongside the Brave browser. The browser works on the Chromium system, and it aims to enhance the privacy and security of users online. It protects users from harmful malware and blocks ads by default. The Brave browser is gaining popularity due to its business model. With more users, BAT is expected to increase in demand, making it useful crypto to invest in. The token is ranked 36th on CoinMarketCap and is valued at $0.1190. The price of BAT depends 90% of the evolution of Brave Browser. Therefore, more users using it could probably increase in value. For the moment, we think the BAT Token will have a price of $0.40 maximum in 2019. Developers of NEO want to make it an alternative for the transfer of non-digital assets. In 2018, the crypto project made headlines due to its business approach. It strikes some similarities with Ethereum, but it differs with other systems due to some aspects. The NEO token is not divisible, it uses a two-tier payment system, and it also uses smart contracts. Crypto experts predict NEO to have a significant effect in the market in 2019. The token value stands at $7.62 at the moment of writing. Many people are expecting the psychological price of $10 or over it. The NEO Price Prediction that we have in mind depends on many factors. But most importantly – if they will gain more partners or strike a few huge partnerships. 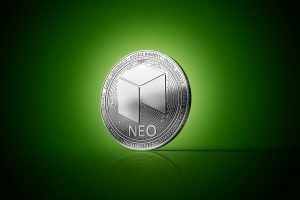 We believe that NEO could reach a $25 price in 2019 – but not regain its glory from where it was $100. 0X is an open protocol that permits trading of ERC-20 tokens directly on the Ethereum system. 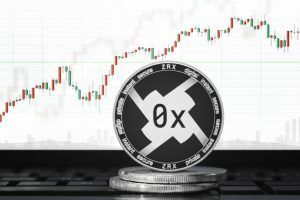 The 0X protocol is also used to build many decentralized exchanges that mushroomed in 2018. Decentralized exchanges are vital due to the volatile crypto market alongside privacy concerns. 0X is showing its seriousness in the market by achieving essential milestones. This reason makes 0X token a key competitor in the best crypto for 2019. The token value stands at $0.25269. The 0x cryptocurrency was pretty quite in 2018 – with their most important news about them being the Coinbase listing. The news spiked the cryptocurrency to ~$1. ZRX token could easily regain that price in 2019 if the market conditions are favorable. Otherwise, we believe it will stand a long period between $0.2 – $0.7. Waves is a blockchain project that provides an effective means of creating your token. It comes with a simplified blockchain experience. The platform is perfect for individuals seeking to crowdfund. 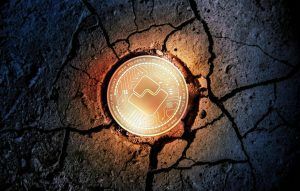 Since last year, Waves has been giving peers a run for their money by becoming competitive through the addition of smart contract functionality. The simplicity of Waves means that more people are set to join the platform. Understanding the underlying technology is easy for anyone. Apart from an easy token creation platform, Waves also runs a decentralized exchange. All these features make Waves a project with a good potential. The WAVES token has a market value of $2.59. If their development would go according to their plans, WAVES could surpass the $10 value until the end of 2019. The VeChain Foundation created VeChain Thor on the Ethereum smart contract to service enterprise customers. For beginners, VeChain Tho is a blockchain-as-a-service and a double token. Developers focus on availing Internet of Things solutions.VeChain Thor uses two crypto tokens: VET and VTHO. VET is VeChain Thor’s native cryptocurrency while VTHO is meant to pay for tokenized transactions. 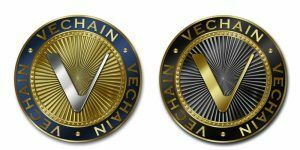 VeChain is a platform to consider because it is a secure, enterprise-grade blockchain that services the entire supply chain on both ends. Plus, VeChain have a model that should work pretty well in the society that we live in. A society that now cares more than before what products are they ordering, who made them,etc. VET’s value is only $0.003 due to the high number of circulating supply. With more partners and a higher adoption, VET could reach a price of $0.02 – $0.05 until the end of 2019. After a disappointing 2018, many expect the cryptocurrency market to bounce back in 2019. It is worth noting that cryptocurrencies come with unique risks that you should pay attention to before any investment. Despite the token you choose, always know it is risky and spending some time to research will give you value for your money.